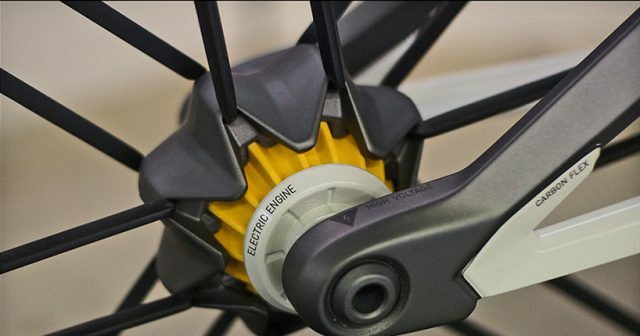 With some of the brightest engineering minds involved with mountain biking, we do get to see some really weird and wonderful suspension designs. 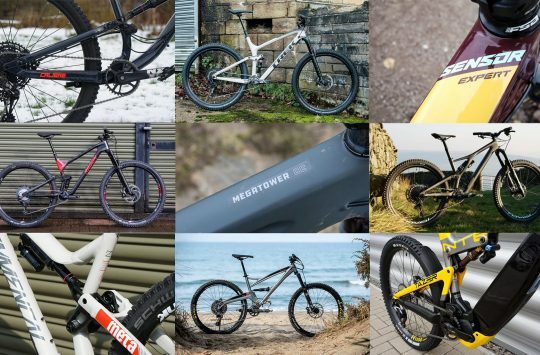 Over the years we’ve seen things like the Muddy Fox Interactive, the Whyte PRST1, and more recently the new R3ACT suspension system found on the latest bikes from Polygon and Marin. 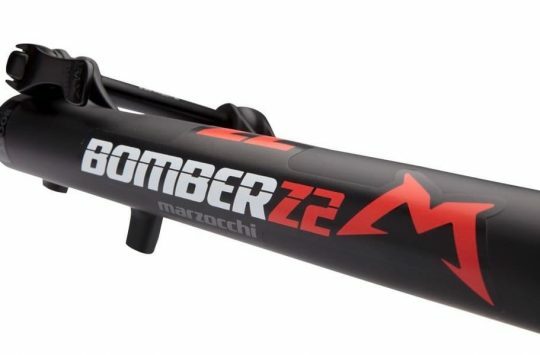 While those bikes all have unique designs, they also have a few things in common 1) they all use multilink designs, and 2) they all use a traditional spring/air spring for the suspension, the future should surely be more simple and use something innovative for the bouncy bits, shouldn’t it? 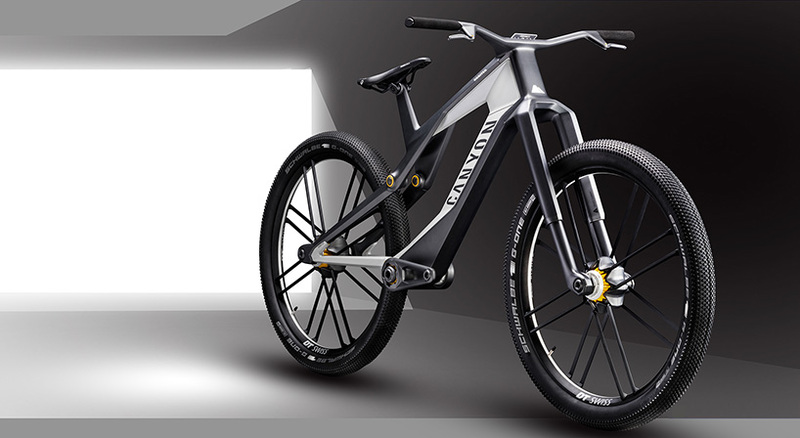 German bike brand Canyon certainly thinks so and has produced a concept eBike that not only features a super simple linkage system but also a “magnetic suspension” design. No springs or air shocks. Magnets do the suspension work. Magnetic suspension has already been tested in certain applications, Magneride in the automotive industry for example, but the Canyon system seems to use magnets in the pivot points rather than suspending iron particles in a solution. We’re not clear on how this works, but we assume that electronic magnets will control the speed of rebound and compression using either science, magic or a combination of the two. With magnets acting as the “spring” Canyon’s designers then turned their attention to simplifying the linkage. Their solution is to have as few pivot points as possible and instead rely on flex built into the carbon rear end. Much smaller than current Ebike motors. 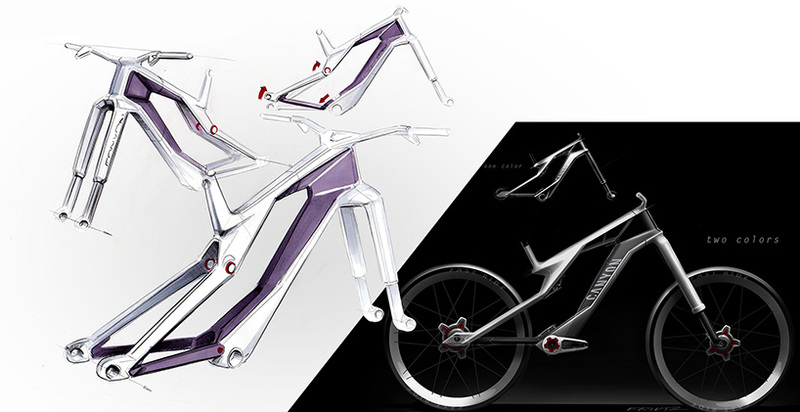 Other cutting edge refinements found on this concept gravity racer include a miniature “Electric Engine” built into the rear hub, integrated battery hidden in the main frame, and single crown USD fork. It’s worth pointing out that while Canyon shows the concept with brake levers the bike doesn’t have disc brakes. Perhaps it uses an internal hub brake, or even regenerative braking to slow the bike down while recharging the battery? Of course being a modern mountain bike we can see that it’s suitably long, low and slack too. When will we see these in production? 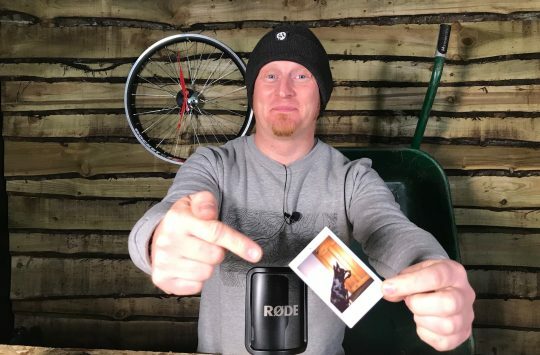 The bike only exists as a couple of renders and as 3D printed models, but we’re interested if any of these ideas will ever find their way on to production bike in the future. Is this what you hope the future of mountain biking looks like? Or gears, or a chain, or any way of transmitting drive from the cranks to the rear wheel. Saddle adjustment looks tricky too. its a balance bike of course…. There’s no damping. Won’t it be a bit bouncy? Hmmm, here’s some wild stabs in the dark. I’d say that it’s two wheel drive and that the braking is also done by the motors driving the wheels. All the power going to the wheels is supplied by the motors but the speed of the motors is controlled by how much power you put through the pedals. Computer controlled electro magnets used in the suspension so that they automatically set the correct spring rate and damping. Is it April so soon again?